Last Saturday we had to do an appraisal in Warren, Oregon. Dunno where that is? 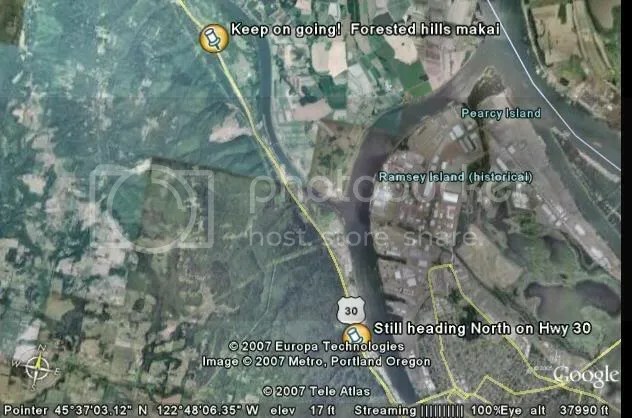 It’s right next to Scappoose, Oregon. Dunno where that is? 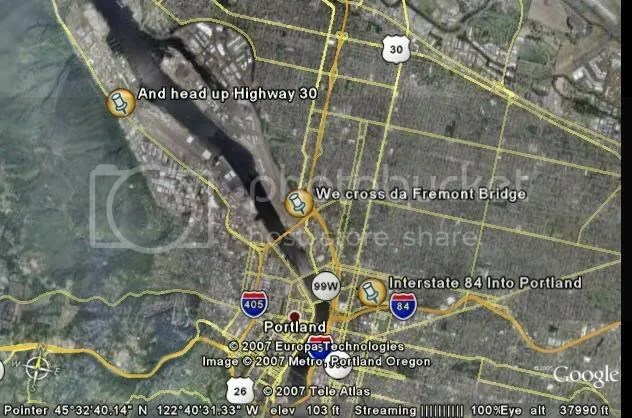 It’s about 27 km from Portland. Dunno how many miles is dat? Mahalo to my favorite km to miles converter, I can tell u. 16.7778 miles! Scappoose is a city located in Columbia County, Oregon. It was named for a nearby stream, which drains the southern part of the county. 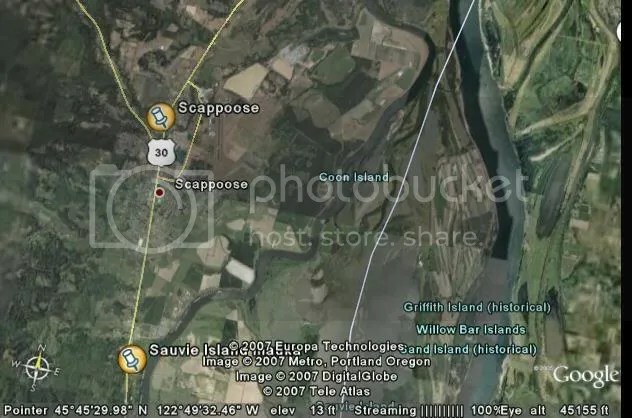 The name “Scappoose” is of Native American origin, and is said to mean “gravelly plain”. So this day, we had to do an appraisal, and as usual, I decided to make another travelogue, using my camera and GoogleEarth. 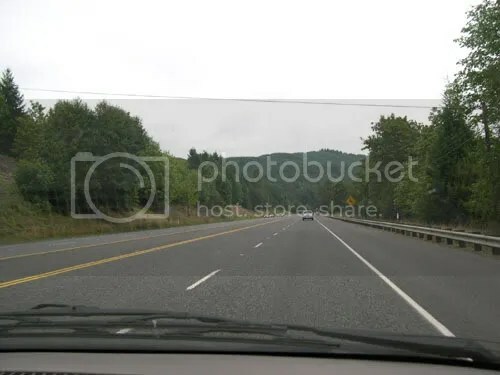 We started out first thing Saturday morning and drove out through the back roads, onto Interstate 205, then to Interstate 84, heading towards Portland. 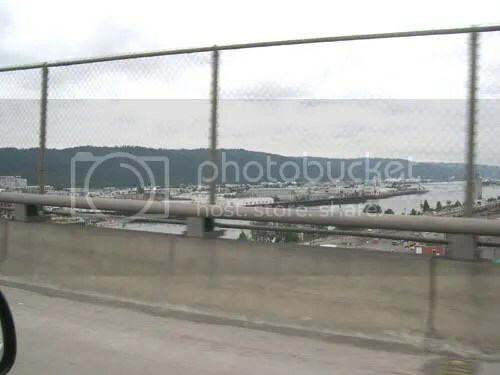 We merged onto I-5 North for about half a mile, then headed off over the Fremont Bridge towards Highway 30. 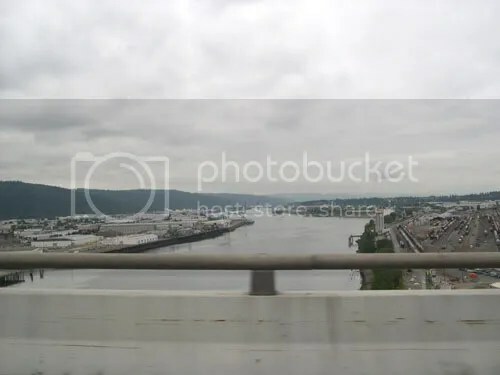 The Willamette River (that’s WillAMette, dammit! heh heh!) and the Northwest Industrial area below. Down to the right are ukubillion trains and tracks. 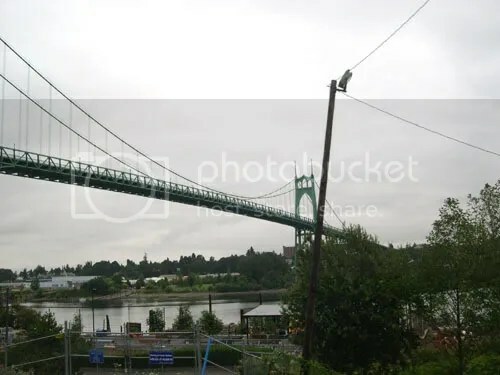 Most all of the bridges over the Willamette River in Portland are drawbridges, but not this one. It’s already high enough. 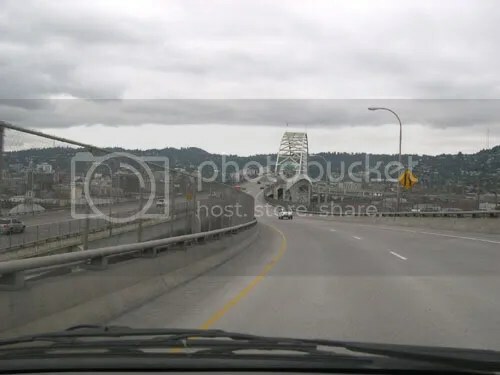 After going through the industrial section, we catch our first glimpse of the beautiful St Johns bridge, which connects Highway 30 to North Portland. This is by far my favorite bridge. It’s lovely during the day, but at night, all lit up, or with its spires in the fog, it’s fabulous. Check out the link to the bridge. Our photos don’t do it justice. We continue up Highway 30 heading North. 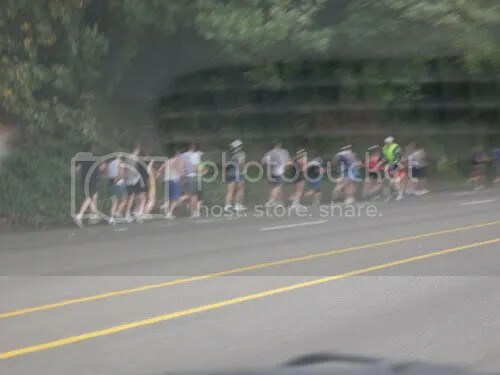 We spot a few runners in the Hood to Coast relay. 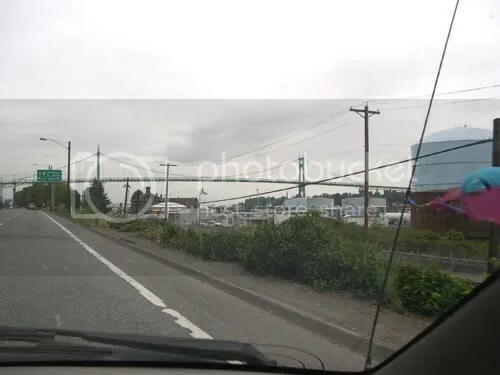 In just a little while, we’re in Scappoose. 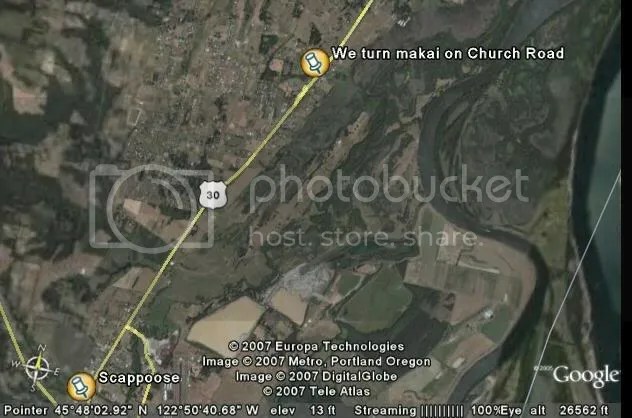 We turn makai on Church Road, just North of town. After driving through semi-boonies, we arrive at the Subject Property. This is a relocation appraisal, and the homeowners are being transfered back to Minnesota, from where they moved here just a year ago. The really nice wahine told me that when they first got here, their four kids were astounded to find sheep right across the road and cows behind them! After doing the inspection, we head out to “drive comps”, meaning to check out each one of the comparable sales. 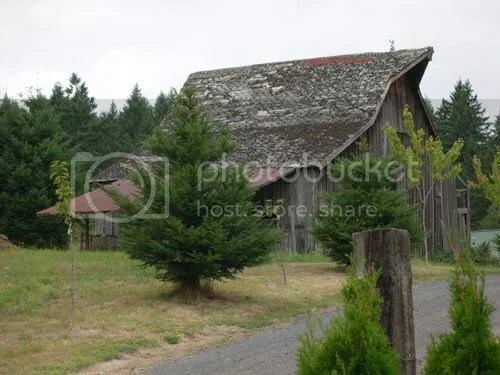 We came across this wonderful old barn. This is pretty enough to make into a photo for a greeting card at Snapfish. which I’ve done many times before. On the way to the first comp, we see this niele [curious] llama. I llove the “banana ears”! 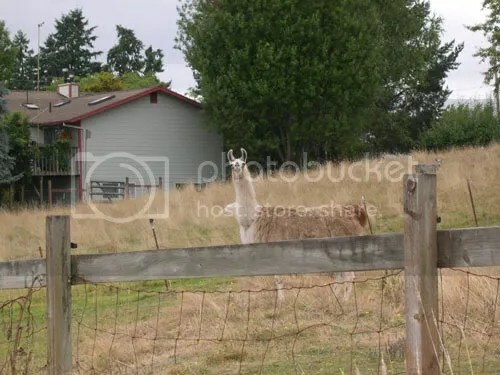 I always stop when I can to llook at llamas! 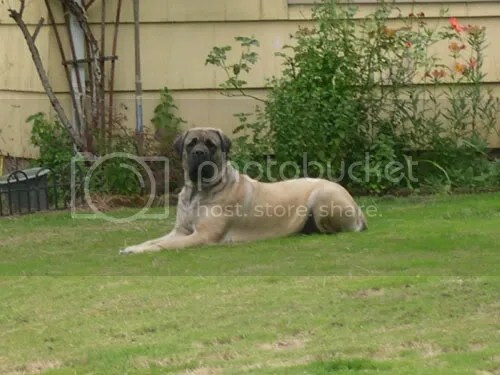 We saw this huge mastiff lying in someone’s front yard. Ho, da big!! 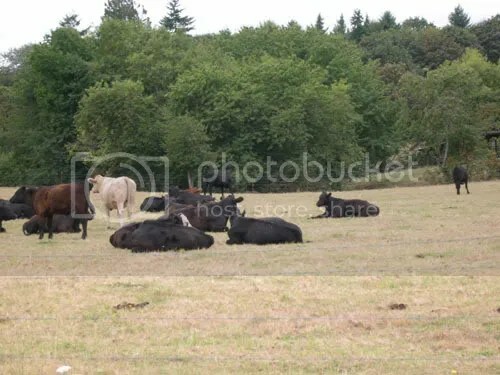 I took the cows photo for my friend AFK. Enjoy! 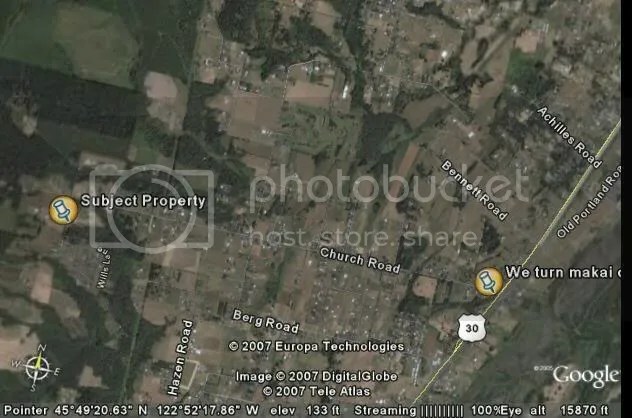 Next, we head back out Church Road and North on Highway 30 again, heading towards the town of St Helens. We find a fascinating house! Oh, dem ones are alpacas. 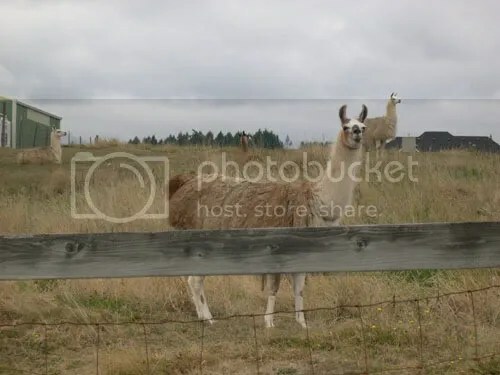 I’m gonna see a bunch of them at Oregon Flock and Fiber Festival and will post photos for you!